Home / Blog / What Common Physical Characteristics Do Low Handicap Golfers Have? What Common Physical Characteristics Do Low Handicap Golfers Have? After an exciting US OPEN, I want to continue with the golf training/ rehab theme from the last post. The following post details a study that investigated whether or not having more strength, flexibility, and/or balance relates to being a better golfer. Hope you like it. As presented —> HERE, highly proficient golfers tend to have greater club head speed and increased driving distance. This is such a desirable goal that researchers looked at how performance in specific low tech tests correlate to club head speed. As expected, more power in the legs, arms, and trunk equals more CHS and driving distance. I wrote an entire post on that topic —> HERE. However, until somewhat recently no research has examined physical performance characteristics and their relationship with handicap differences. In 2007, Sell et al. examined whether strength, flexibility, and balance in specific areas of the body are common in different groups of handicap. The authors believed that understanding these trends and improving them would facilitate the design of a golf specific strength and conditioning program, and that lower handicap golfers (<0-9 handicap) would have better strength, balance, and flexibility scores overall than higher handicap golfers (10-20). They evaluated over 250 golfers that were split into 3 groups, <0 handicap, 1-9 handicap, 10-20 handicap, and were put through common strength, flexibility, and balance testing. Their findings were not shocking, but very interesting in that scientific research is suggesting what we probably should have known all along. The authors found that “core” strength, especially around the hips, pelvis, and low back is essential to performance in golf because an effective swing requires the golfer to maintain a stable lower body while rotating the torso, upper extremities and head. The faster the torso rotates the greater the strength of the lower quarter needs to be, and golfers with a lower handicap had consistently greater lower body and core strength than the high handicappers. Interestingly, the authors also found low handicappers to have greater shoulder strength (especially in the rotator cuff). 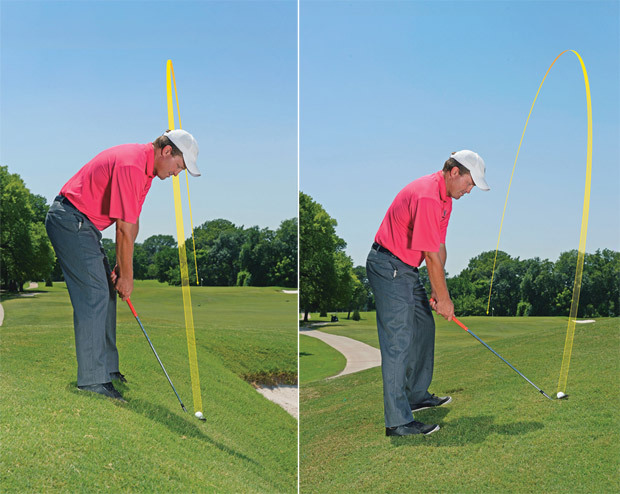 This is important not only in the delivery of the club head, but also in the prevention of injuries. Check out an article on shoulder injuries in golf —> HERE. Stable lower body, mobile trunk, stable shoulders….I feel like a broken record. Range of motion and mobility is obviously important in the golf swing. The authors discovered that the shoulders, hips, and torso are consistently more flexible in lower handicap golfers. Specifically, right shoulder external rotation (think back swing), right shoulder extension, left shoulder flexion and abduction (again think backswing). This is why we perform the Shoulder 90/90 Test —> HERE, and the Lat Test —> HERE. As for the hips, the most notable was right hip extension (which makes sense because optimal glute function is achieved if you can get into extension), and left hip extension. This is one reason for why we perform the Bridge with Leg Extension Test —> HERE. 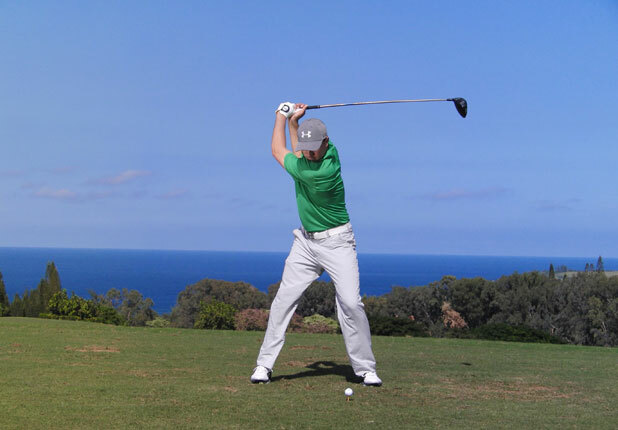 Right torso rotation range of motion was higher in golfers with lower handicaps. This is a great reason to get screened specifically by the Torso Rotation Test —> HERE, as well as the Seated Trunk Rotation Test —> HERE. Interestingly, the only difference here is that the golfer’s with better handicaps performed better on the Single Leg Stance Test on their right leg. There was no statistically different findings on their left leg. However, other studies have shown otherwise. In my opinion, it is important to achieve good balance during single leg stance especially due to the fact that the golf swing requires a large weight shift to the right leg on the back swing and left leg for the down swing (for a right handed golfer), as well as occasional requirements to hit from an uneven lie (downhill/uphill/ bunker/ awkward stance/ etc.). Remember, the average PGA TOUR professional can maintain single leg stance with their eyes closed for 16 seconds. Try the Single Leg Balance Test —-> HERE. Hopefully you enjoyed this post and are beginning to realize that major differences in performance are of physical qualities, not just skills. Just like the difference between NBA players and college players are attributes like speed, ability to jump higher, stronger, bigger, more endurance, more coordination; golf is no different. Sell, T. C., Tsai, Y.S., Smoliga, J. M. Strength, Flexibility, and Balance Characteristics of Highly Proficient Golfers. J. Strength Cond. Res. 21(4), 1166-1171. 2007.